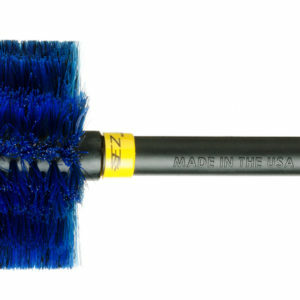 Little EZ Detail Brush – EZ Detail Brush by EZ Products inc.
Great for NOOKS and CRANNIES like those found on motorcycles and spoke wheels. 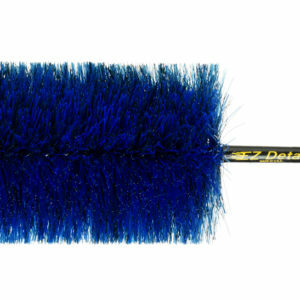 It’s 13” long with a vinyl coated wire stem and a 2 ½” diameter of nylon and nylex memory bristles. Best Deal! 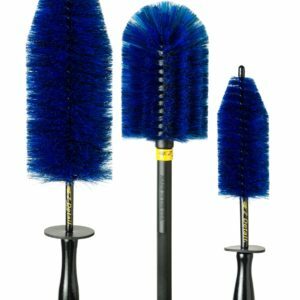 Receive all 3 EZ Detail Brushes and Free Shipping!! Perfect for cleaning WHEELS and ENGINE BAYS. It’s 18” long with a vinyl coated, flexible wire stem and a 4” diameter of nylon and nylex memory bristles. Clean DOOR JAMS, WHEEL WELLS and reach into corners easier than ever. It’s 16” long with a plastic handle and a 4” dome shaped head full of nylon and nylex memory bristles.